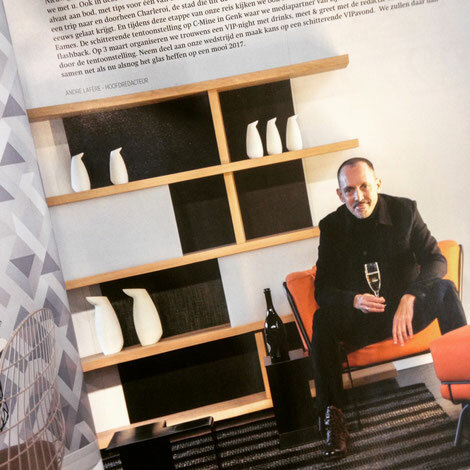 March 2019 : A nice article about my OnA-collection ! 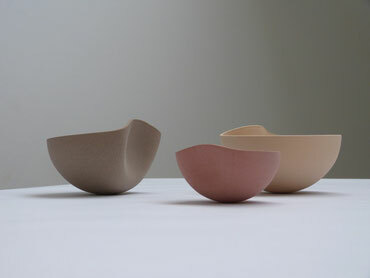 Thank you PRODEEZ ! 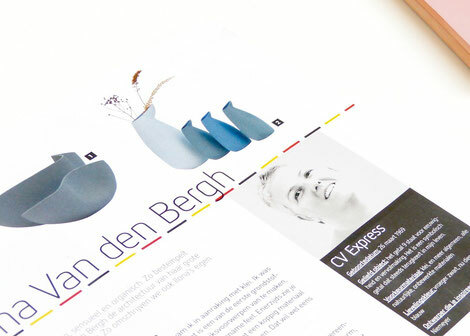 October 2018 : I can't express how proud and happy I am to be considered as one of the upcoming and rising Belgian design talents by the design magazine Actief Wonen. 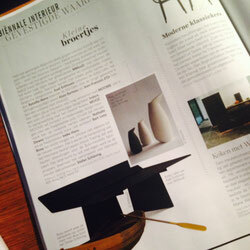 (October Edition). 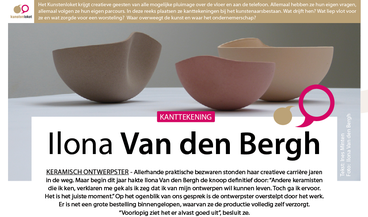 March 2018 : The beautiful interior magazine FEELING WONEN published an article about my latest work and exhibition. 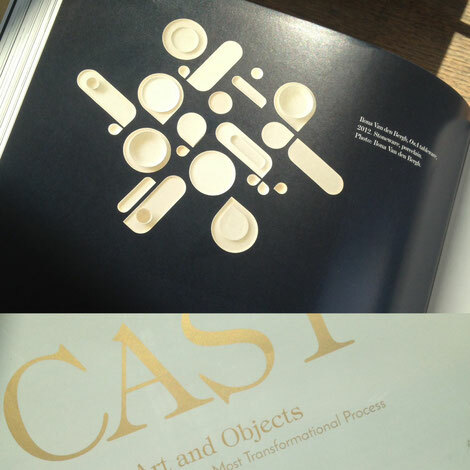 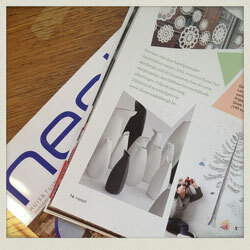 My work fits perfectly (next to Nendo ;-) in this special about color. 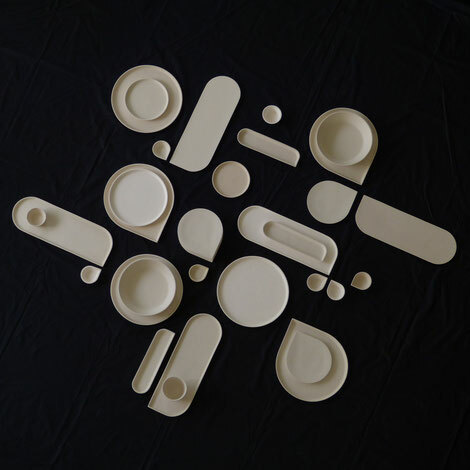 January 2018 : So happy to be featured with this picture of my 'OnA'tableware in C-File and Designmilk. 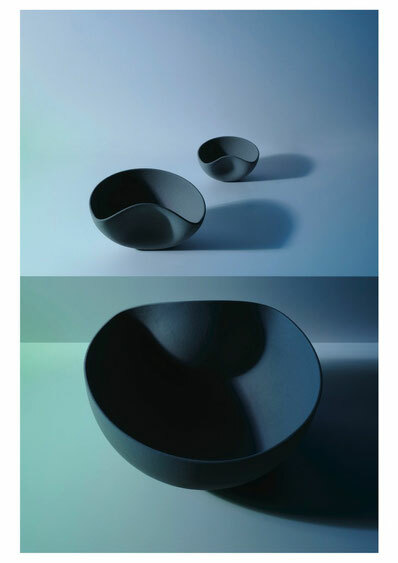 "GO ZEN WITH SOME SERENE COMPOSITIONS". 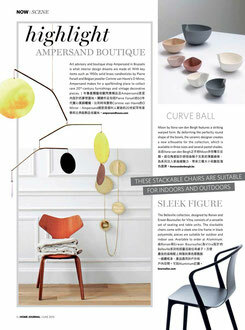 Follow the links to the articles. 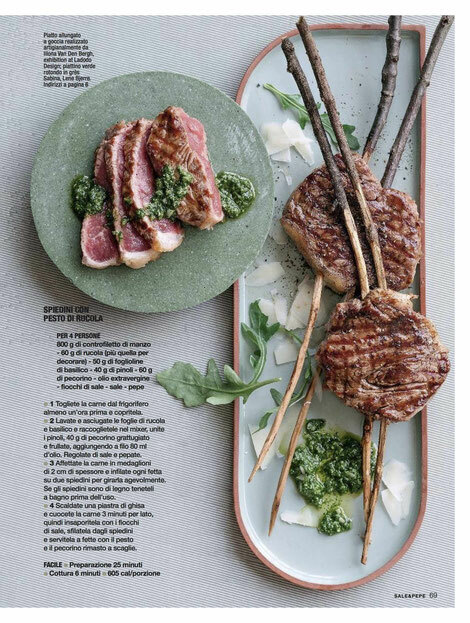 July 2017 - With one of my ONA-plates in the Italian culinary magazine SALE & PEPE !!! 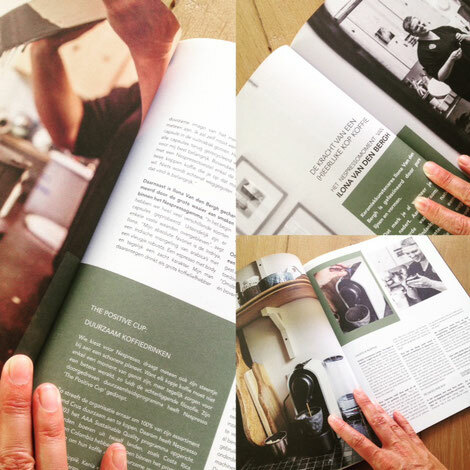 June 2017 - Happy to see a 3-page article about me, my work and coffee in the Belgian culinary magazine SMAAK ! 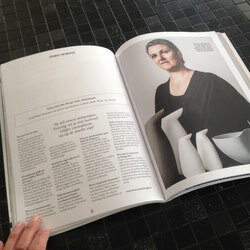 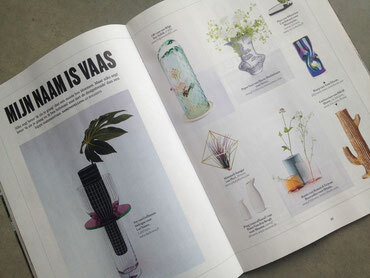 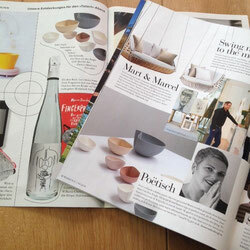 My PING vase on the edito page of the Belgian design magazine FEELING WONEN. 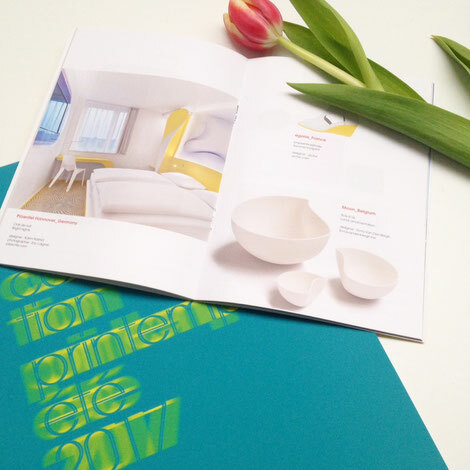 After being spotted as inspirations source for the trends 2017 in the UK, also in Paris they used MOON for the catalogue of Arche.com, inspirations for spring and summer 2017. 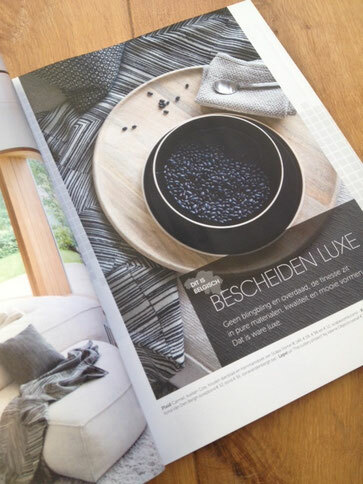 09/16: Starting the new season (yes, holidays are really over now) with some nice media attention: With BON (coverpage ! 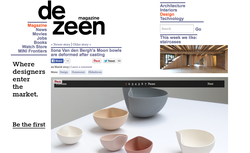 ), PING and MOON in the newest 'Stijlvol Wonen' next to other Belgian brands like Valerie Objects, Design is Wolf, When Objects work and many more. 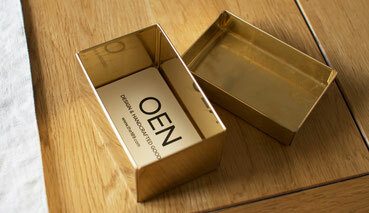 I'm a huge fan of OEN. 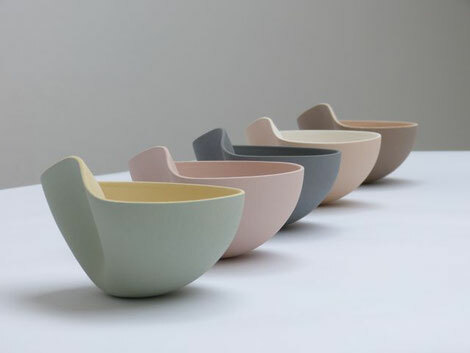 A website (England) where you can find the most fantastic and handmade contemporary homewares. 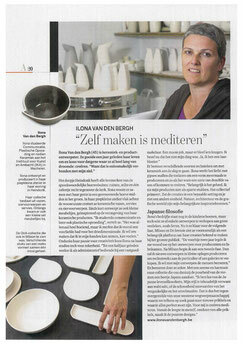 So I was very surprised and very very pleased to discover that they wrote an article about my work for about a year ago. 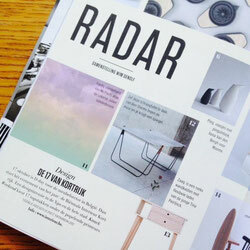 Thank you so much OEN !!! 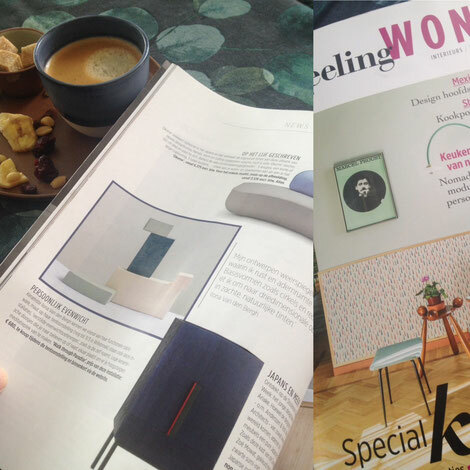 DS MAGAZINE - De STANDAARD (feb.2016) with PING ! 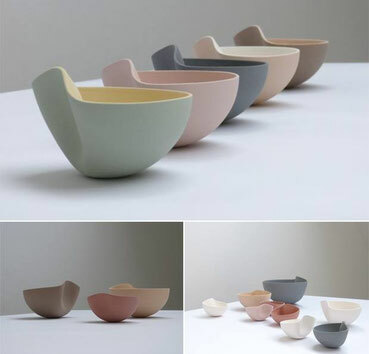 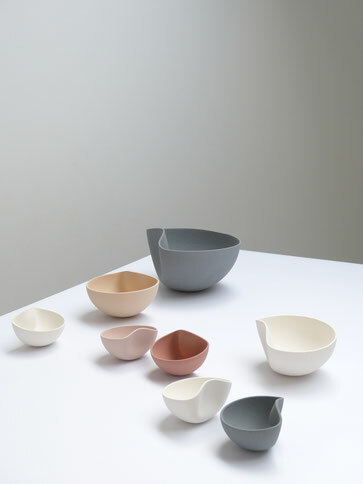 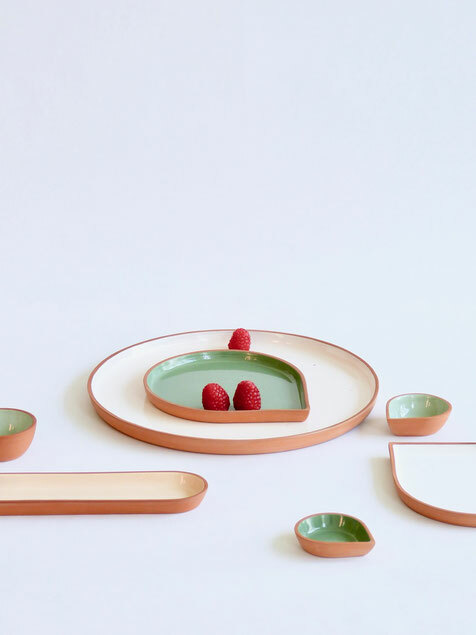 JOURNAL DU DESIGN (Jan.2016) : mOOn par ilona van den bergh - ceramics. 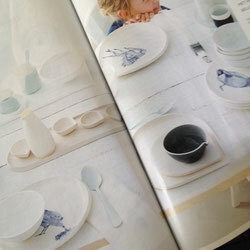 Infos et images dans l'article.